Yoga improves posture and increases flexibility, stamina and strength. It also helps improve the function of the respiratory, circulatory, digestive and hormonal systems. Yoga can help to relieve and reduce stress, and promotes deep relaxation, helping us to access our inner calm and self-confidence, and to live more fully in the present. It helps us get in touch with our inner resources to realise how we can live in harmony with ourselves, others and the environment. In short Yoga is one of the oldest systems of personal development in the world. Today most students through their yoga class, study one of the eight parts of yoga called asana or postures. The yoga postures promote good health in both body and mind. Whilst the body gains strength and flexibility through the practice of the postures, both the body and the mind are refreshed. There are large variety of postures, each one having a slightly different effect on the physical, physiological and the psychological aspects of our being. All of B.K.S Iyengar’s teaching is informed by his in-depth study and understanding of the philosophy of yoga, as set out in the ancient yoga texts, and in particular, of Patanjali’s Yoga Sutras, a key yoga text dating back over two thousand years. Through his ‘research based experience’ and ‘experienced based research’ B.K.S. Iyengar has made yoga accessible to all, pioneering the use of props, such as blocks, belts and chairs, so that students of all abilities are able to overcome their difficulties and realise their potential. He has made it possible for ordinary people to experience the wisdom of yoga. Iyengar yoga is meant for all and is a way of life. 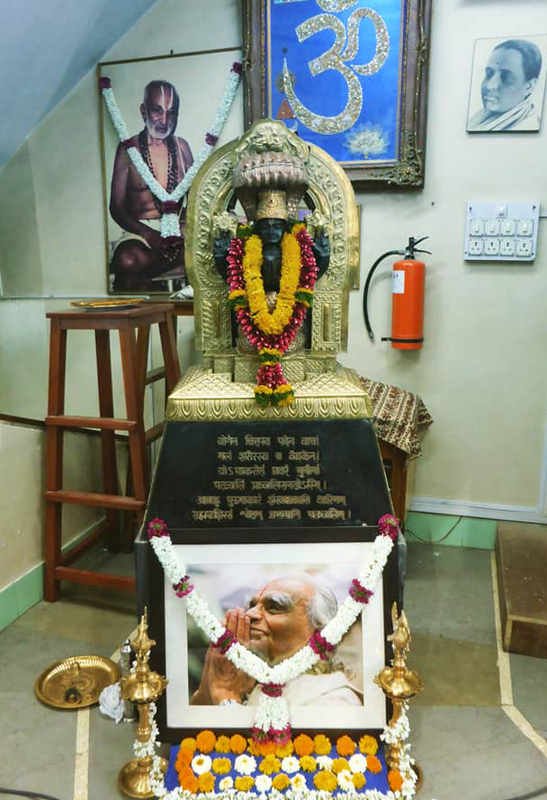 The heart and soul of Iyengar Yoga is at the RIMYI (Ramamani Iyengar Memorial Yoga Institute) located in Pune, India. The Institute was established in 1975 and dedicated to B.K.S Iyengars’ late wife. His son, daughter and granddaughter, Prashant, Geeta and Abhijata continue to teach at the Institute and students from around the world regularly attend RIMYI to deepen their understanding of Iyengars yoga.